Ready to Buy or Sell Your Oregon Home? Schedule an Inspection First! Need a Home Inspection Completed Quickly? Not a Problem! 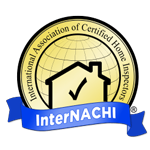 Trust an inspector with professional credentials from the International Association of Certified Home Inspectors. Contact All About Home Inspections today. Our inspector's license number is NACHI16082411. Why Choose All About Home Inspections? He does it all. Our Sandy, Happy Valley, Portland, and Oregon City, OR inspector will do more than just examine your home's structure and systems. He'll look for mold, pests and damage to the backyard deck. He's not afraid to get dirty. Crawlspaces and messy basements are no problem for our residential inspector in Sandy, Happy Valley and Portland, Oregon. He can inspect up to four units! He's fast. You'll receive a detailed report in as little as 24 hours following the inspection. He's mobile. Our home inspector serves Sandy, Happy Valley, Portland, OR and Oregon City, OR. Call or text 503-705-6023 to schedule an appointment. All About Home Inspections serves the Sandy, Happy Valley, Portland, and Oregon City, OR communities. -Buying a home is a big deal. Make sure you have all the facts before you sign on the dotted line. Hire the inspector at All About Home Inspections. -Before you accept the keys, let's double-check the construction and finishes to ensure that your investment is sound. We are well-versed with Bank Draw inspections. -Don't put the health of your friends and family at risk. Get your residence in Sandy, Happy Valley, Portland, and Oregon City, OR examined for mold by All About Home Inspections. -Are wood-eating insects hiding behind the walls of your future home? The pest control expert at All About Home Inspections can find out for certain.